[EN] Who run the world? DRAGS! 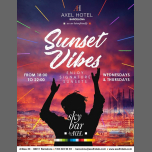 Saturday is drag day at Axel Hotel Barcelona, the best queens of the city will come to the Sky Bar to make you laugh, to show their best outfits and slay. ???????????? [ES] Who run the world? DRAGS! El sábado es día drag en Axel Hotel Barcelona, las mejores reinas de la ciudad vendrán al Sky Bar para hacerte reír y mostrarte sus mejores galas. ???????????? Who run the world? DRAGS! Saturday is drag day at Axel Hotel Barcelona, the best queens of the city will come to the Sky Bar to make you laugh, to show their best outfits and slay. ???????????? Who run the world? DRAGS! El sábado es día drag en Axel Hotel Barcelona, las mejores reinas de la ciudad vendrán al Sky Bar para hacerte reír y mostrarte sus mejores galas. ??????????? ?